Triage Staffing is a traveling medical professional staffing agency located in Omaha, NE. Full benefits packages, dedicated recruiters and a large network of hospitals and organizations makes Triage Staffing a top choice for travelers nation-wide. 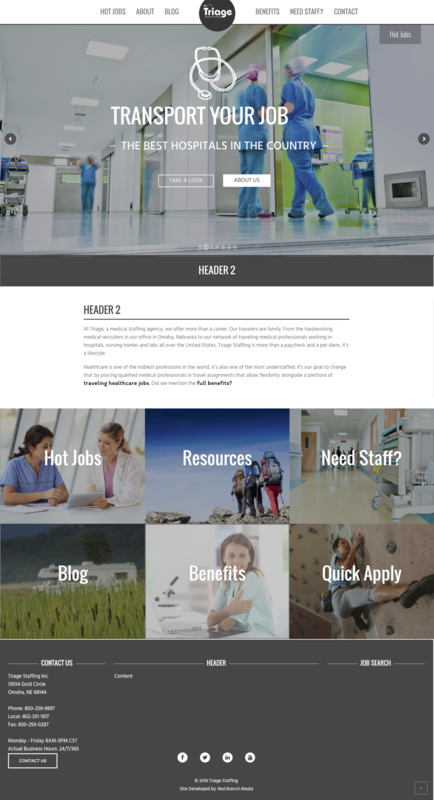 Triage Staffing was in need of a fully-responsive, clean, modern and easy-to-use website. 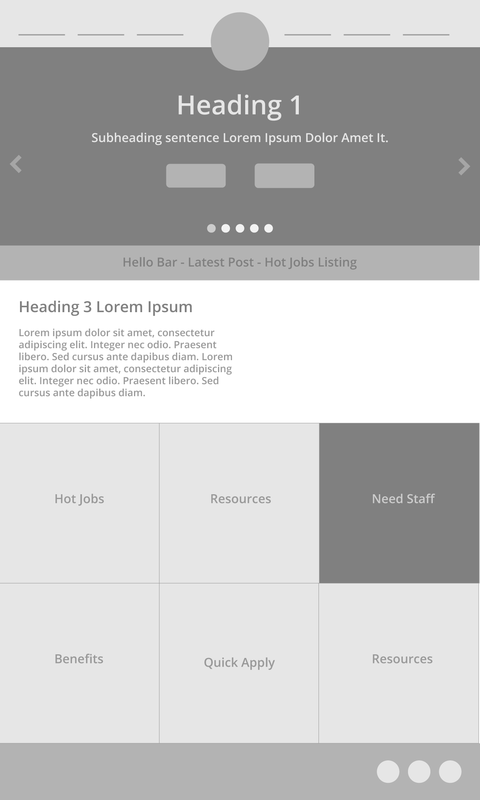 An emphasis was on building out the job search portal, the blog and benefits pages. The end goal was to link future travelers with their dream contract destination. Using hospital/clinic photography mixed with lifestyle/travel shots, an overarching theme of exploration and opportunity was expressed. Fun fonts and bright colors gave the site a young and fresh feel urging users of all ages to learn more and apply. Installing a custom-built job search portal finished the project.